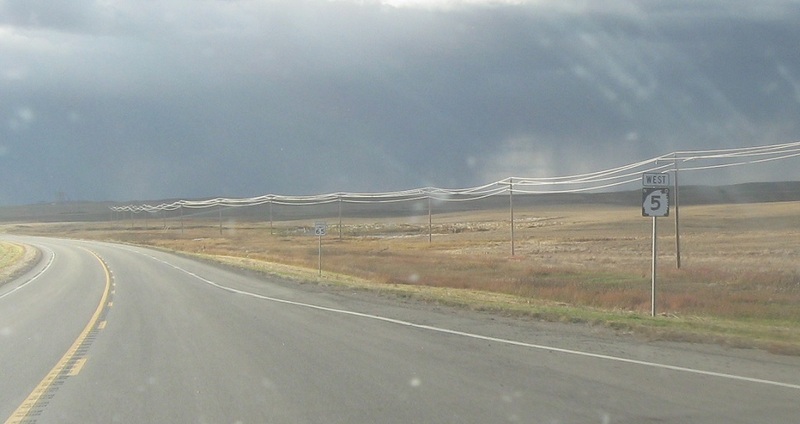 Reassurance shield after the US-85 split. A few miles later, turn left for CR 5. Stay straight for ND-5. 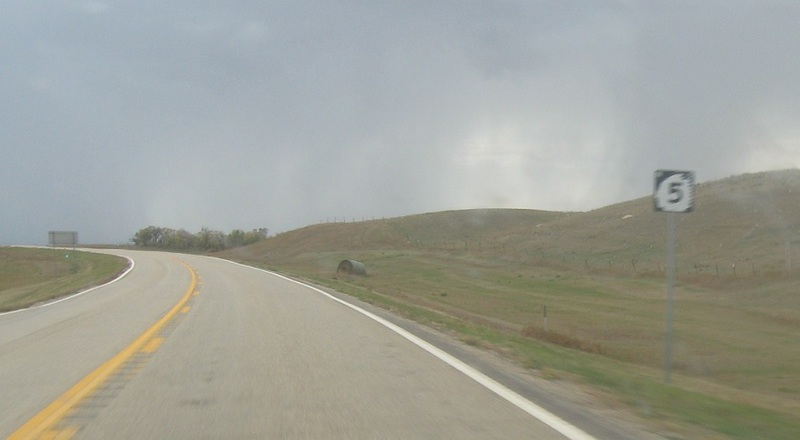 Reassurance shield after CR 5. 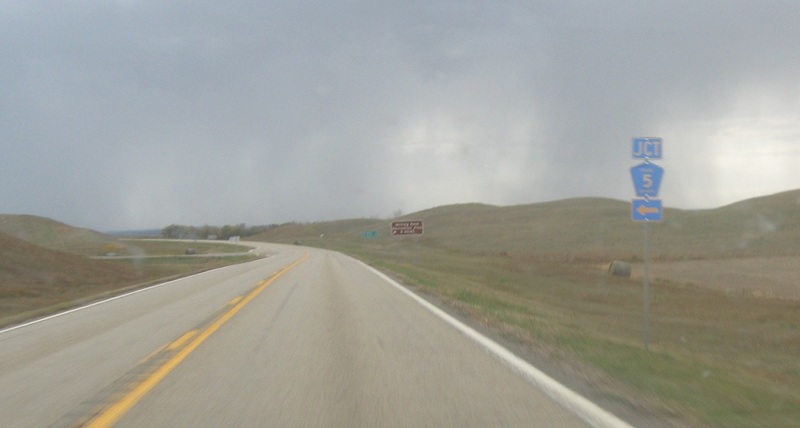 A few miles later, we’ll enter Westby, Montana and North Dakota 5 transitions to Montana 5. 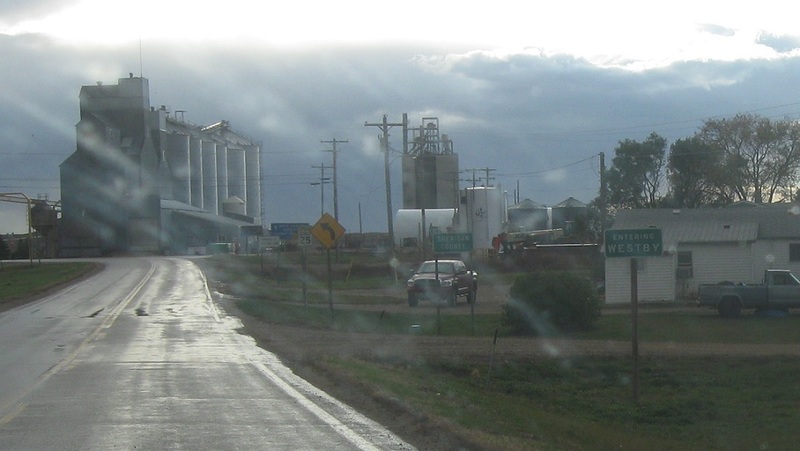 Westby is named as such because it used to be the northwestern most town of North Dakota before the townspeople physically relocated the town into Montana.